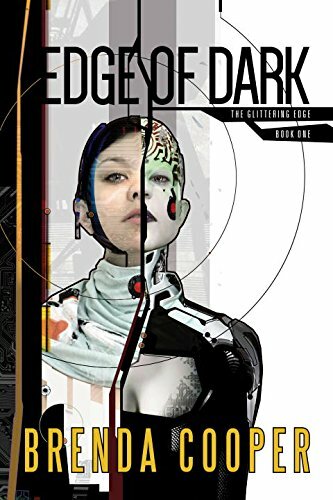 I’m half way into an excellent new science fiction book, Edge of Dark, by Brenda Cooper, who is also a Futurist.com Think Tank expert. This is Brenda’s 8th novel and the first in a two-part series. This book is timely in its exploration of what is essentially AI, based on human brains, which have been so divorced from their human values that they view reality in a different way and have vast powers. The interface between this new super intelligent species and humans is what I’ll be getting into in the rest of the book. So far an excellent mix of character, conflict, action, and tech. Side note: I am pretty convinced that this kind of future is less fiction and more real, just hundreds or thousands of years out there yet. Recommend you check it out. UPDATE: Having finished Edge of Dark, I will add that it is just terrific. Brenda Cooper has been growing as a writer each time out, and this latest is simply a knock-out. Full of profound questions about what it means to be human, a confidence that technological development will continue even as humans themselves long for more nature, laced with tight drama and conflict, and containing a universe of imperfect characters, both human and android, who vie for the readers sympathy, its a thrilling book. When I finished my only thought was, how long must I wait for the promised sequel, as the story ends on a well crafted cliff. As humans today wrestle with questions of technological augmentation, while wondering if the species will even survive for the long term, Edge of Dark offers a contemporary exploration of those very issues.